Includes FREE 9.5″ x 14″ exclusive full-color poster with art by Joe King (Obey Giant, Crooks & Castles, Billabong). 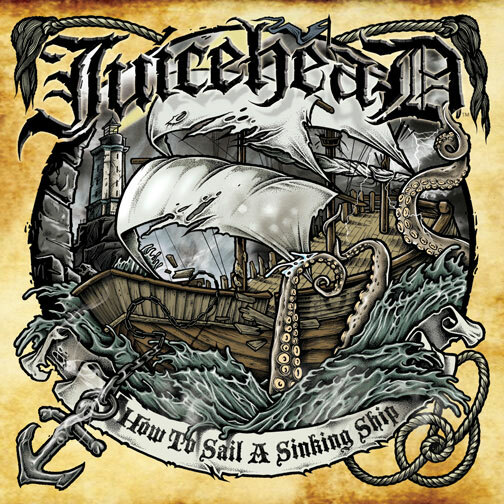 “How to Sail a Sinking Ship” features 20 tracks, with over an hour of new-music, showcasing the band’s ability to combine a diverse range of musical styles & influences into their own blistering blend of punk rock. The first single from the album, “Rotting from the Inside”, debuted at #40 and eventually climbed to #33 on the Alternative Specialty Radio Charts with consistent spins on both college and commercial radio nationwide. “Death of Democracy” also surfaced on air nationwide in heavy rotation on Sirius XM’s Faction channel on a daily basis.